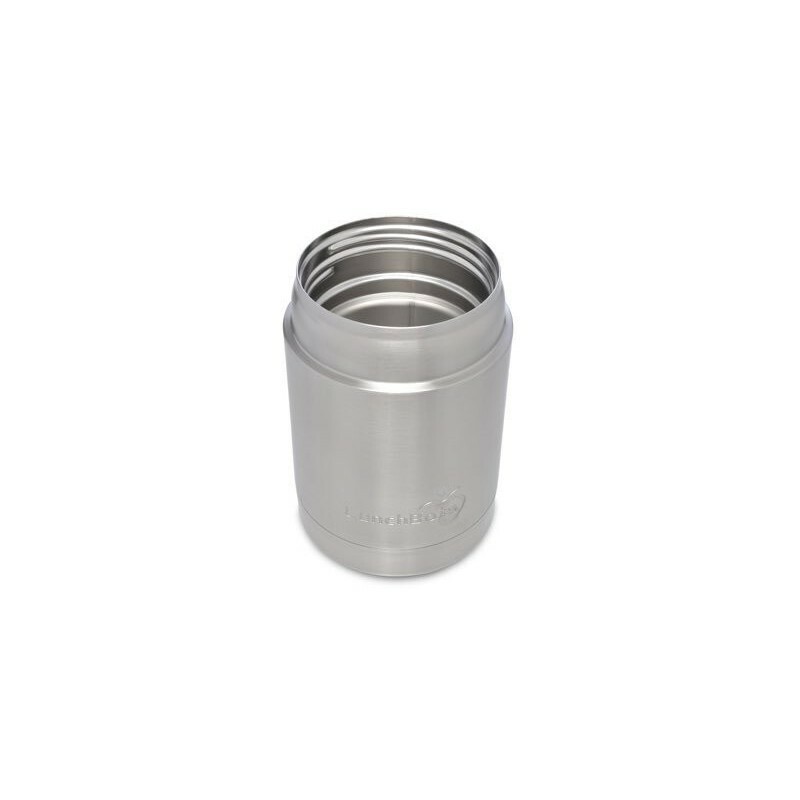 A stainless steel insulated food container to keep food hot for 6 hours, or cold for 12 hours. 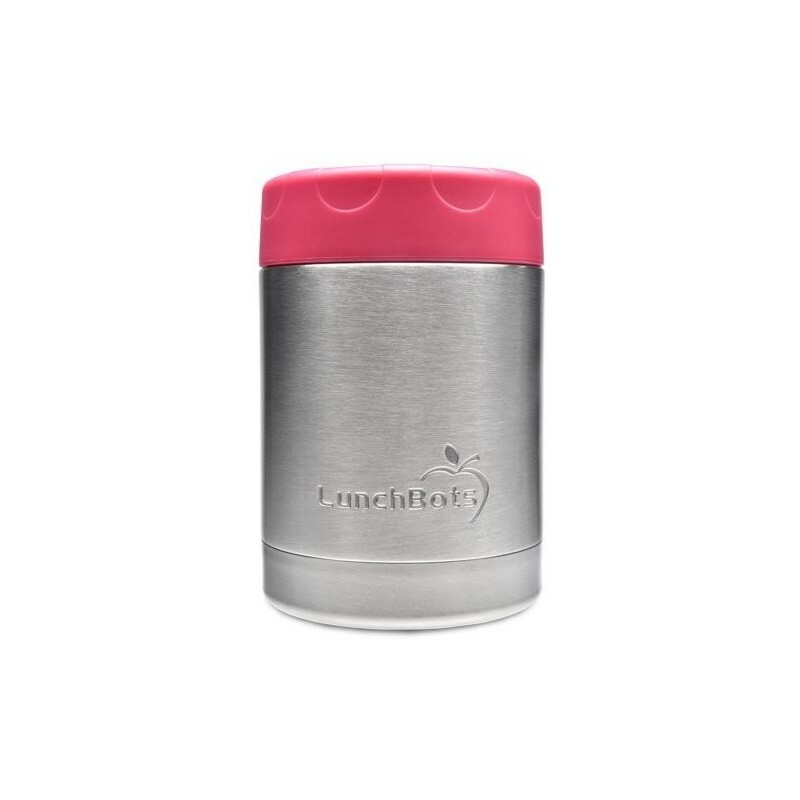 Manufactured from high quality, food grade, 18/8 stainless steel with a pink leak-proof, screw top lid. 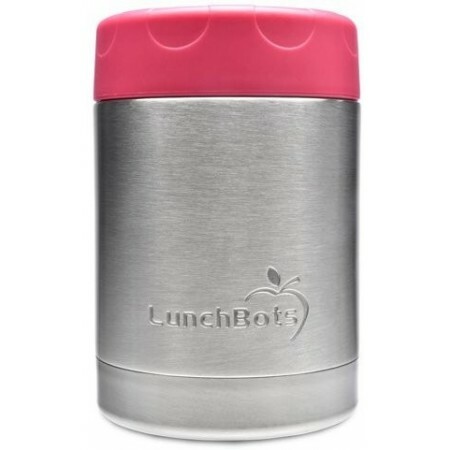 100% stainless steel interior (including lid) so no food ever touches plastic. 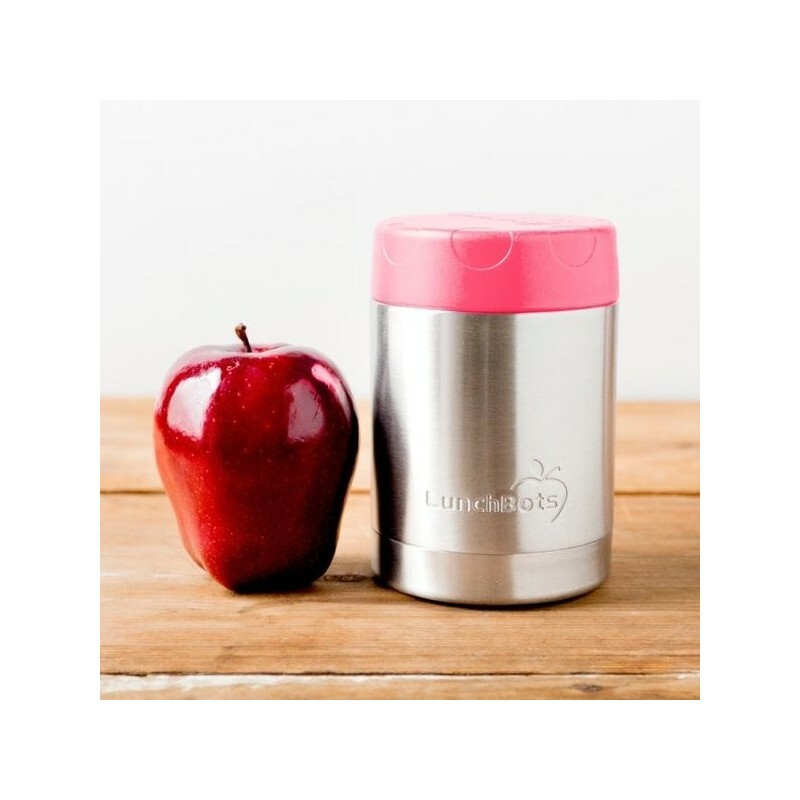 350ml (1.5 cups/12oz) capacity. 18/18 stainless steel. 12.7cm high x 8.9cm wide. 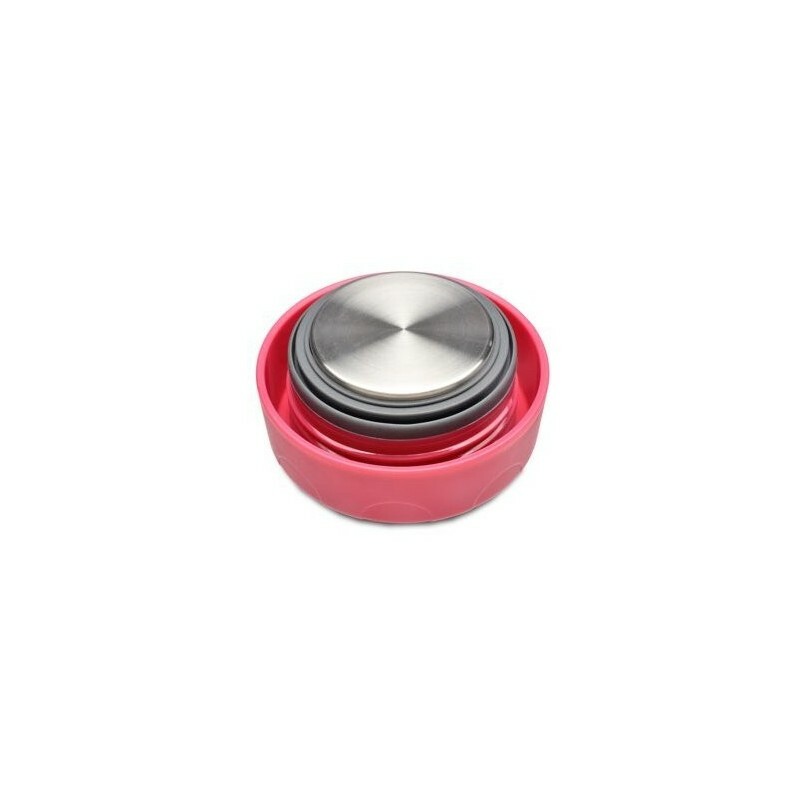 Love it is stainless steel inside..